First Tomb Raider Movie Trailer Debuts | Nerd Much? The talent is clearly there, but this does not look like her best work. So Warner Bros. is re-hashing the classic Lara Croft plot for the new Tomb Raider film. Her father recently died and she must take up the mantel of his many archaeological investigations and adventures to find that one thing. The one thing that’s such a cool and ultimately important thing. Okay, so the plot to most of the games is fairly flimsy, so the movie will have no choice but to reflect that. They certainly made that mistake with the Assassin’s Creed movie. But this is trailer is so clearly a combination of the two latest games, Tomb Raider and Rise of the Tomb Raider. Such to the point that it almost looks like a cosplayer with sub-par acting skills got a great budget to make a trailer. Seriously, why does Croft’s accent always sound as fake as it possibly could be? It’s just horrendous. Even in the trailer it moves in and out of existence. Which is odd because the woman that plays her, Alicia Vikander, is famous for her role in Ex Machina. So the talent is clearly there, but this does not look like her best work. Maybe we can blame it on the others involved in the film, who knows. The director of Tomb Raider is Roar Uthaug, known for his work on The Wave, and a Norwegian slasher film titled Cold Prey from 2006. And no, I didn’t mistype it, that is really his first name. Graham King is producing the film and is known for his work on The Departed (which he won an Oscar for), Argo, and several other award winning films. 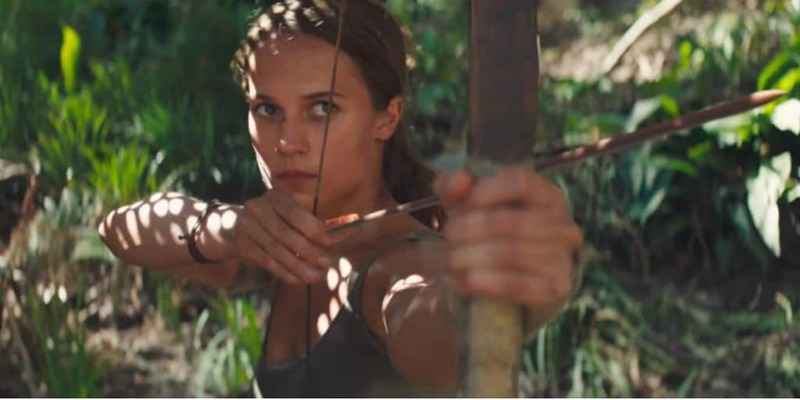 Other than the beautiful Vikander, Tomb Raider will star Dominic West (The Wire, Chicago), Walton Goggins (The Hateful Eight, Django Unchained) and Daniel Wu (Into the Badlands, Warcraft). Definitely a lot of talent in this pool, but it sure doesn’t show in the trailer. Though I will say that the costumes and set design look a lot better than Marvel’s Inhumans. The movie has that much going for it at least.